Big honor here for these two worthy Mountaineers. 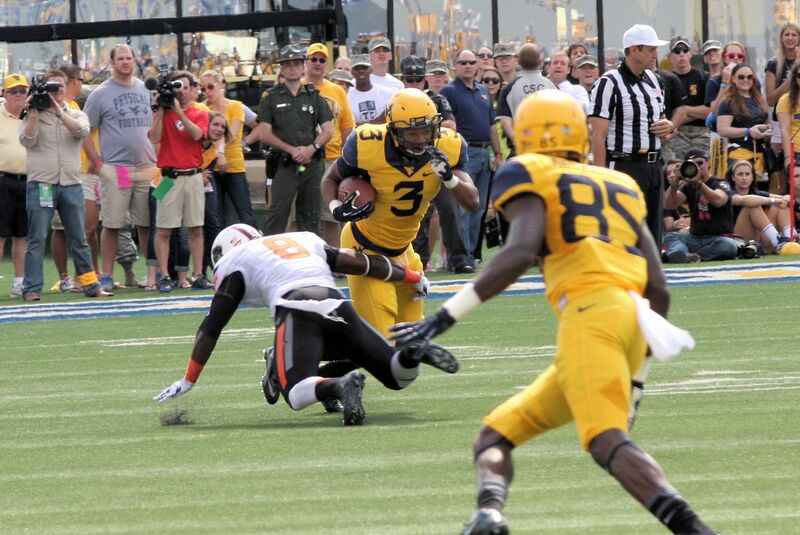 Charles Sims had 157 all-purpose yards in leading West Virginia to a 30-21 upset over No. 11 Oklahoma State. He finished with 18 carries for 60 yards and a touchdown with a long run of 25 yards. Sims also tied for the team lead with five catches for a team-best 82 yards and returned a kickoff for 15 yards. Nick O’Toole, West Virginia, P, So, Corona, Calif.
Nick O’Toole punted eight times for 357 yards and an average of 44.6 yards in WVU’s win over Oklahoma State. He placed two inside the OSU 20-yard line with a long of 57 yards. He finished with three punts of 50-plus yards.